Flawless Victory! 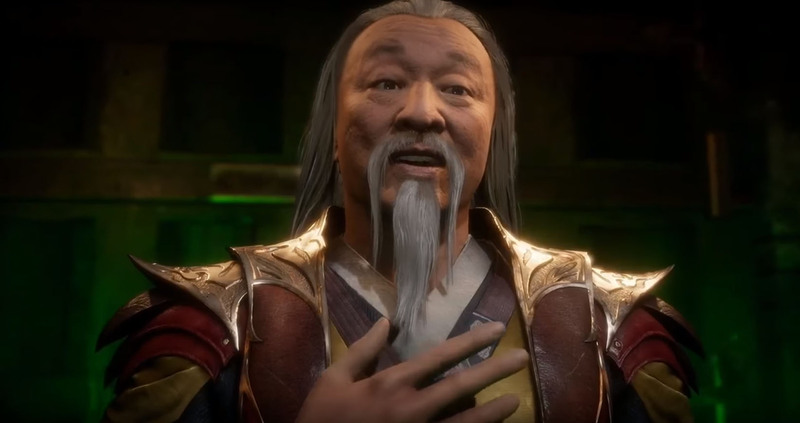 NetherRealm Studios has brought actor Cary-Hiroyuki Tagawa from Amazon’s The Man in the High Castle on board to play Shang Tsung in Mortal Kombat 11. This is exciting news for Mortal Kombat fans since he has played the shape-shifting villain before in the Mortal Kombat franchise. Moviegoers first saw him as the villain in the 1995 Mortal Kombat film from director Paul W.S. Anderson (Resident Evil) opposite Robin Shou, who played Liu Kang. The reveal was made during C2E2 Expo in Chicago in a video showcasing The Krypt, and he’ll be the first DLC playable character available. Tagawa has been a fan favorite as Shang Tsung to the point where he played him again in Mortal Kombat: Legacy, the Warner Bros. web series anthology from director Kevin Tancharoen. The Mortal Kombat villain is a deadly adversary who steals the souls from his defeated enemies to maintain his youthful looks and powers. He was defeated by Liu Kang in the first Mortal Kombat game and film. In addition to Shang Tsung’s reveal, Noob Saibot will also be in the game. The deadly ninja’s name is the last names of the Mortal Kombat creators spelled backward, Ed Boon and John Tobias. NetherRealm Studios has been updating the facial animation of the characters, making them look more realistic. We’ve seen this improvement with its previous game, Injustice 2, and it’s definitely a big improvement compared to Mortal Kombat X and Injustice. So far the list of playable fighters include Cassie Cage, Kotal Kahn, Erron Black, Jacqui Briggs, Johnny Cage, Baraka, D’vorah, Geras, Jade, Kabal, Kano, Kung Lao, Liu Kang, Noob Saibot, Raiden, Scorpion, Shang Tsung, Shao Kahn, Skarlet, Sonya Blade and Sub-Zero. Mortal Kombat 11 will be having a closed beta next week. The final game is headed to the PlayStation 4, Xbox One and PC on April 23, 2019. A Mortal Kombat reboot film is in the works, with the script from Greg Russo already being done. The writer is also working on the reboot for the Resident Evil film.